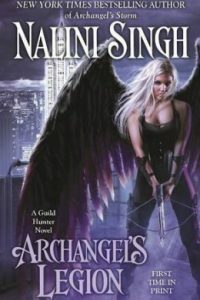 Angel Kin is the official first book in the Angel Assassins Series, but there is a prequel novella that helps fill in a few holes I had in the story line. I read them out of order, but hey, it still worked. From page one, you are thrown into Angel Kin with a disturbing, but excellently written to give the feel of terror, horror and the fight to stay alive. 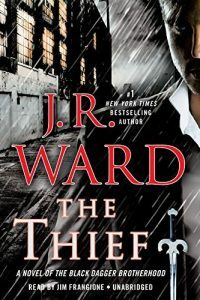 Katie Logan is a petty thief who gives it up time after time, but when her friends need money, she’t the one to go a robbing. While robbing a local politician’s house she witnesses his graphic murder by the hands of a handsome man, who is pure evil. She runs to the Bound Ones only to finger one of its members as the killer. Cain is a nephilim, having been saved with all nephilim were murdered by angels. One of four, he is pressed into service by the Directoriate (angels) to do their dirty work on earth. Instantly drawn to Katie, he is surprised when she fingers him for the murder. Now he must face that his twin brother, Able, may not have perished as he once thought. Now the clock is ticking as Cain and Katie must figure out what is going on, and stay one step ahead of death. This was a delightfully terrifying story. 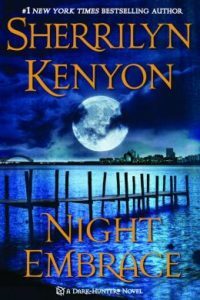 Oh, I now the word delightful shouldn’t be used like this, but it was an eye opener from page one reading how a murder takes place, then an adrenaline rush staying one step ahead, then behind. Is Cain’s brother really alive? Why is he killing? Why has he never contacted Cain? How could he have survived? And what’s he up too? So many questions. 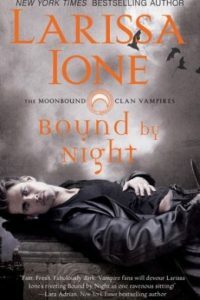 The Bound Ones are a group of nephilim saved by one angel. They are vastly different in personality, but all so close as brothers enduring the same problems. Each has their own unique power that uses Grace. After the use of Grace they are extremely ill. It’s believed they are the only living nephilim as heaven doesn’t tolerate angels fornicating with humans. The group dynamic was amazing to watch grow as you got to know them. The angel in charge of them is like a father and goes to bat for them often. Now Cain and Abel…right? Well, these are the ones from the bible, so get that out of your mind right away. But there are parallels. Both are hurt by what has happened in their lives. Their come to Jesus battle is epic and kind of bloody. Also violent to the nth degree. This isn’t a slap and tickle, it’s brutal, honest and worthy of these brothers. Katie is a strong character. Loyal to her friends. Loves her family. 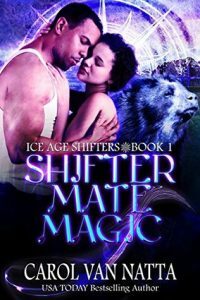 She gets the bond Cain and Abel have, but her attraction to Cain leads her to want to protect him at all costs. Cain is a closed off hero not willing to get the chip off his shoulder. He’s strong, but also emotional. Emotions he doesn’t let anyone see. Bitter for his lot in life. It’s to be expected. Now, I hope in the end the angels in heaven (only from this story), get what’s coming to them. They are what I call evil. I think they forgot what Jesus taught us and forgive nothing even if it is out of your control. 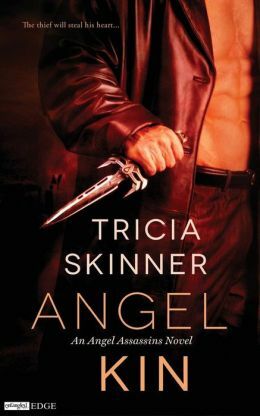 Angel Kin has a lot of elements from angels, to rogues, shifters to vampires and probably a lot more I missed. There are violent battles to win or die in the end. 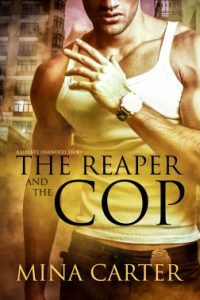 It’s a fun, quick read that will leave you wanting the next story in the series. This is a series that is on my radar. I hope to be able to start it next year. Looks really good. Great review. I have both books and liked them both. Need to be patient for the next book. It’s a different type of world. It’s well worth it waiting for but I want the next book now! This went right on the wishlist pile. Great review, Shari! 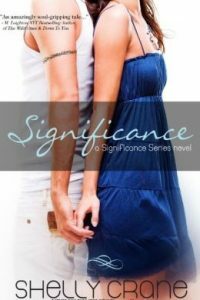 This author is awesome! You have got to read her. I so wanted to read it and had to just make time to get it in. Well worth putting off my other book for it.